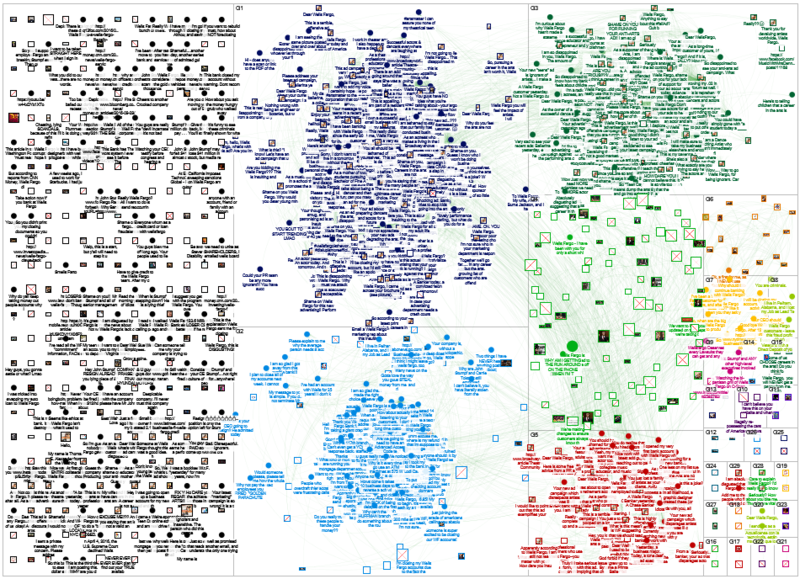 NodeXL Pro provides several options to import and analyze network data from Facebook fan pages and groups using the public and free Facebook Graph API. On January 30th, 2018, Facebook changed their policies for the free API v2.12, and Team NodeXL has adapted the Facebook importers to accommodate these changes with the update of NodeXL Pro v.395. Since April 4th, 2018, Facebook does not allow data collection on groups until all apps get a review. Thus the NodeXL Pro Facebook Group Network importer for public groups is currently not working. We will update this importer as soon as the review is finished. The new NodeXL Pro Facebook Fan Page Network importer is now updated to comply with the limitations of the new Facebook API changes. This API will no longer deliver “Reactions” or the names of the authors of Comments on Posts. This results in a fragmentation and anonymization of most of the network. 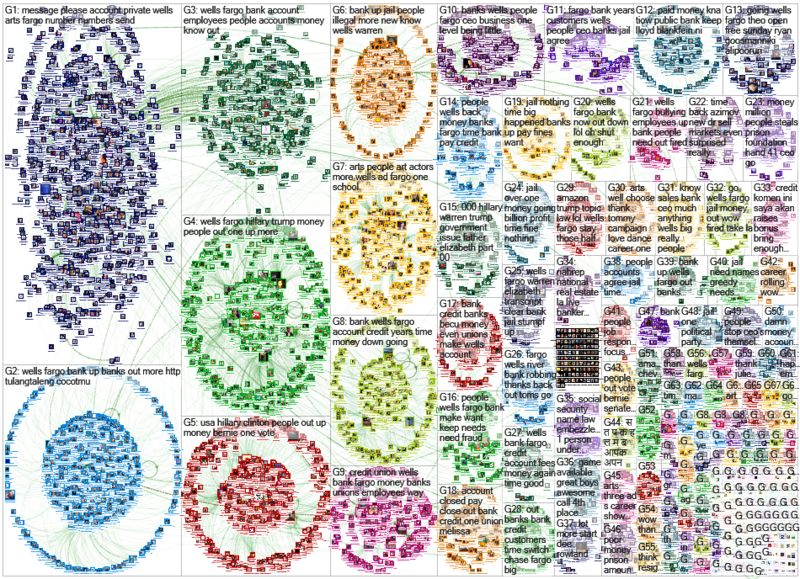 The new NodeXL Pro Facebook Fan Pages Network importer collects the network of connections created when a Fan Page “Likes” another Fan Page (example on the right). Users may search for and enter one or more Fan Pages and build the network of their connections. The Facebook user networks look a lot like the Twitter networks, yet they use a different data setup. Edges between two users can be created from comments, shares and reactions. You can also choose to create edges between users who reacted to, commented to or shared the same post. This feature allows to identify different target groups engaging in interactions on commercial fan pages. 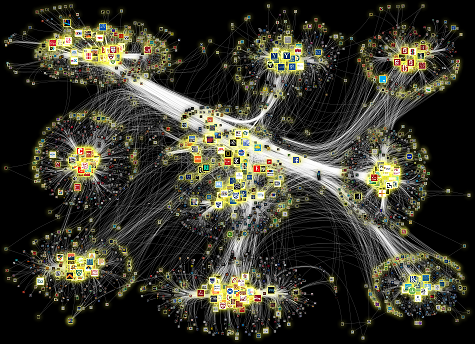 The Facebook Post Networks provide a different view on a fan page. In this case the posts are regarded as vertices and an edge is created between posts which have the same commenter, reactor and/or sharer.